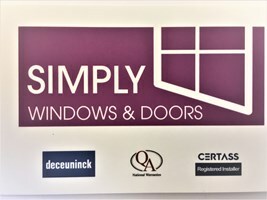 Simply Windows & Doors Ltd - Windows/Doors/Conservatories based in Rye, East Sussex. We are a specialist window and door company based in East Sussex and cover the whole of the South East inslucing East Sussex, West Sussex, Surrey, Kent and Essex. We supply and fit windows & doors to residential customers and trade. We can provide the windows and doors in UPVC, wood or aluminium. We can also supply and fit French, patio and bi-fold doors and we able to commission bespoke designs. We also specialise in Grade 1 & 2 Listed buildings. All our staff are fully qulified and are more than happy to help so please do not hesitate to call us for a free quote on 01797 360 487 or request for us to call you back.